What caused VW's emissions scandal? The board of Volkswagen can cross another name off its Christmas card list. Over the weekend Sir Chris Hohn, who runs the British hedge fund manager TCI, accused the company of ‘corporate excess’ that led to its high-profile emissions scandal and called for a shakeup of the way it calculates executive rewards. The company has been in crisis mode since September, when it admitted to installing so-called ‘defeat devices’ in some of its cars to cheat environmental tests. Sales of its own-branded cars have plummeted (its subsidiaries Audi, Skoda and Porsche have been relatively unscathed) and the company now needs to figure out how to reassure customers and shareholders that it can still be trusted. Part of that process will be identifying what went wrong in the first place. The scandal can’t simply be palmed off on a rogue employee and there are plenty of theories about what went wrong in the upper echelons of the company. Here are a few of them. Most large listed companies in the UK and the USA are in the hands of many different shareholders, including institutional investors, the management team and retail investors. But in Germany it’s common for founding families to retain a large stake. The Piëch and Porsche families still own around 35% of Volkswagen, and hold 50.7% of voting rights thanks to the way their holdings are structured. It may upset corporate governance experts, but this kind of control isn’t always a bad thing. Family-run firms have a reputation for longevity and social responsibility. But in this case the major shareholders have come under a lot of scrutiny. Although high-pressure targets have been linked to scandals in the past, he suggests the lack of transparency and long-term incentives helped cause the cheating. ‘We believe that excessive top management compensation, unlinked to transparent metrics and paid in cash with no vesting or deferral has encouraged aggressive management behaviour, contributing to the emissions scandal,’ Hohn added. The bumper pay packages were partly caused by the amount of worker reps on VW’s board, Hohn reckons. In Germany it’s common for several members of a large company’s board to be union leaders. While giving employees some say at the top table isn’t ridiculous, but Hohn suggests it created unhealthy incentives. 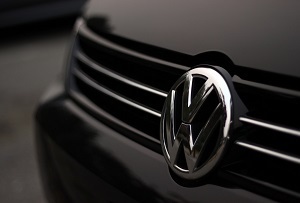 VW’s supervisory board has been accused of being less-than-independent. Half of its members are the aforementioned labour reps. And most of the remainder are representative of the Porsche and Piëch families and VW’s other major shareholders – the governments of Lower Saxony and Qatar. Ferdinand Piëch resigned as chairman last April, but he was replaced in October by Hans Dieter Pötsch, the company’s long-time finance chief. That leaves Annika Falkengren, boss of Sweden’s SEB bank as arguably the only truly independent director. The causes of VW’s emissions scandal were myriad but it seems clear that its less-than-conventional approach to corporate governance didn’t help matters.